On Friday, Gilead Sciences won approval from the U.S. Food and Drug Administration for a follow up drug to Sovaldi its hepatitis C drug that has become very controversial. The new treatment is actually more expensive that the $1,000 per day price for Sovaldi. 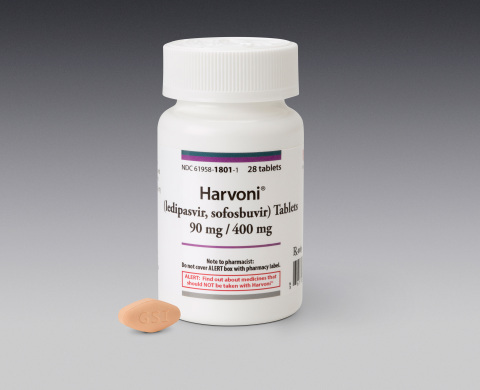 Harvoni, the newest medication, is used for patients who are afflicted with Genotype 1 Hepatitis C. It is considered to be the most difficult Hepatitis to treat and in the U.S., it is the most common. Harvoni is a combination of Sovaldi and Ledipasvir. It has proved to be effective in between 94% and 99% of its patients. Gilead posted its pricing for the new drug following the FDA approval. It said that Harvoni would cost $63,000 for a regimen of eight week and for 12 weeks, it would increase to $94,500. Sovaldi was used before in treatment of other hepatitis C genotypes infections and costs $84,000 for a regimen of 12 weeks. That is just less than $1,000 per day. The price tag for Harvoni it nearly $1,050 per pill for eight weeks as well as 12 weeks. Pricing, which some have said is cheaper and more effective that other previous treatments, nevertheless received the wrath of the people attempting to keep drug prices down. On trade group spokesperson said Gilead had the opportunity to show it wants to take part in affordable healthcare, but instead it believes it holds a blank check. Sovaldi, the first in a new generation of treatments for hepatitis C that are highly effective, has also drawn criticism from insurers as well as others due to its high cost. Gilead shares were off most of the morning on Friday, but started to climb by afternoon on the FDA approval news. However, they remained down on the day by 2%, as a huge sell off hit the market. One industry analyst expects Gilead to continue upwards with this new green light from the FDA. Hepatitis C has six individual genotypes with each having several different subcategories. Genotype 1 however, afflicts three quarters of all patients with hepatitis C. between 20% and 25% have genotype 2.